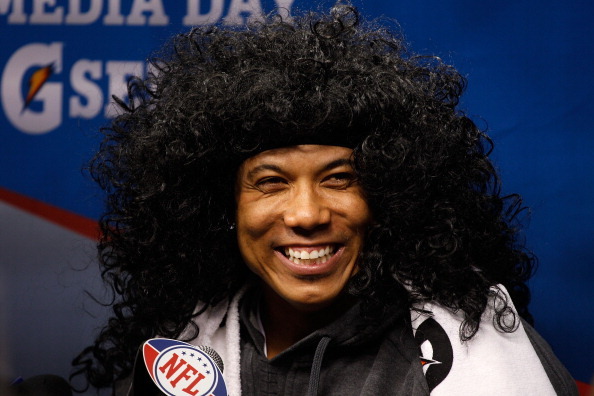 A big thanks goes out to Hines Polamalu, who takes us into this week's Steeler/SB45-heavy edition of Best of the Web over at The Fan website. But don't fret, I found space to talk Pitt recruiting, the awesome goalie fight in the Pens-Islanders game, and much, much more among this week's 20 links. I must say, that fight was so awesome, it's worth mentioning a second time. That's going to be an all-timer in the pantheon of Pittsburgh Sports YouTube Clips. IF pitt's recruiting class was getting ANY mentions this season, then you might as well give Graham the coach of the yr award RIGHT NOW! PITT looked REAL REAL bad this offseason, and it's no surprise that their recruiting suffered because of it. BJ > RD - LOVE the goalie fight! Love it even more since BJ was standing up for a teammate after a cheap shot! The first sentence of that spygate/goodell story already has me pissed Belichick '...did not fulfill his obligation to "tell his side of the story" after the league handed down its punishment for illegally videotaping opponents.' ??? Shouldn't the main investigator have heard the defendant's 'side of the story' BEFORE handing out a punishment? OK, if belicheat didn't fullfil his end of the deal? Punish him further! What an a$$hat. Seriously, this guy IS a (much) worse commissioner than BUD SELIG! The 857 article is borderline retarded. Past success does not guarantee future success. And the current Packers (&Steelers) could give a shyt less what people in the 70s did (or even the 2005 steelers, cause a large chunk of that team is gone too). Apparently TMZ is trying to make a big deal that Ben WENT OUT during super bowl week... Not suggesting that anything bad happened, but suggesting that 'he'll never learn' or 'he's up to the same ole stuff' because he didn't lock himself in his hotel room, but rather chose to bond with his teammates instead... what a dispicable human being. Y'all keep hatin', we'll keep winnin'. I can't recommend James Walker of the AFC North blog strongly enough. If you haven't been reading, it's always good.